It’s been a while since the name Franz Ferdinand has been loitering for too long in anyone’s mind. Partly due to their brief FFS collaborative spark in 2015 (nicely done there – Ed. ), and partly because they’re yet to emulate Britain’s well-documented ‘Take Me Out’ indie epidemic of 2004. Anyone who thinks there might still be time to resurrect such a feat of indie nightclub riff power, sit down now, because not even Franz Ferdinand themselves believe it. Their decision to evolve hip-shaking guitar grooves into disco-soaked synth-pop is reminiscent of the career arcs of many of their other ostracised mid-noughties comrades. The only difference is that Kapranos and co. at least had it in them from the start. Back when they released their Mercury-winning 2004 self-titled debut, Franz Ferdinand expressed that it was a record “that girls can dance to” – a slightly different stance to their belligerent and particularly lad-orientated counterparts. But whilst bands like Courteeners are left scraping the barrel of relevance, their cupboards of innovation bare, Franz Ferdinand’s gradual pivot towards electronic foundations feels more like a genuine natural progression. However, now without the resource of founding guitarist Nick McCarthy, whose absence is significant enough to have to be replaced by two new members, the arrival of their fifth studio album feels like a band more stretched than ever to find some new footing. Where singles are concerned, Always Ascending is a fairly mixed bag. Energetic bursts of funk and kick drums, Alex Kapranos’ vocal still leads the charge with somewhat corny, but nevertheless, charming vigour. Whether or not ‘Lazy Boy’s absurd vocal hook will be chanted across gig venues and summer festivals alike, I’m not so sure. But to their credit, their original mission statement to get feet moving very much remains intact. Yet despite their dance generating triumphs, Always Ascending struggles keep clear of the band’s own rusty exterior. ‘Dad at the disco’ feels a little too harsh, but Franz Ferdinand’s efforts to engage politically feel very transparent. ‘Huck And Jim’s’ quips of “We’re going to America / We’re gonna tell them about the NHS” is an unconvincing grasp at injustices all too obvious to address and don’t really rouse a generation as well as the band may have initially imagined. Even down the more melancholy route of ‘The Academy Award’, Franz Ferdinand struggle to convey their poignant message of narcissistic egotism to the full scale of reality. We’ve heard some exceptional observational protest music in the past year, but Franz Ferdinand should stop trying to be Father John Misty and jump swiftly off that bandwagon. 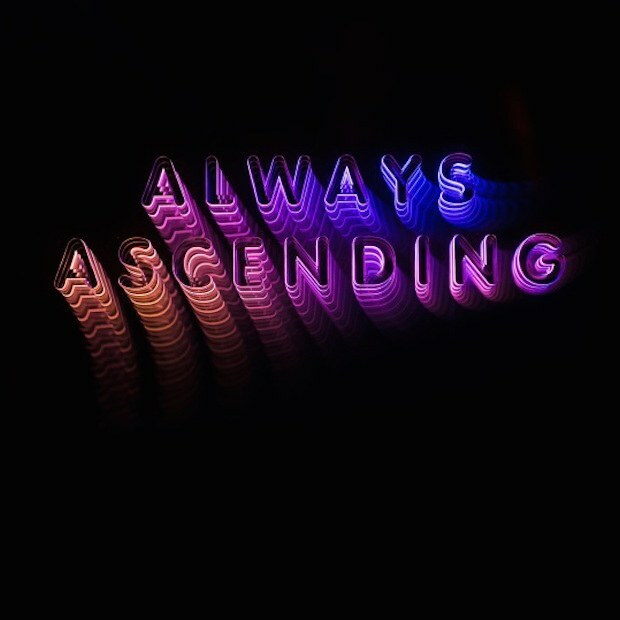 Listen to Always Ascending by Franz Ferdinand here via Spotify, and tell us what you think below!